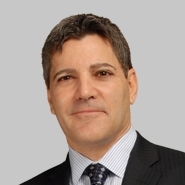 Fox Rothschild LLP congratulates Robert A. Klausner, who was named as a top Real Estate Influencer by ROI-NJ for the second consecutive year. Throughout his career, Klausner has represented clients in connection with a wide variety of office, industrial and retail transactions, including the leasing of more than 40 million square feet of space, the purchase and sale of more than $10 billion worth of properties, and the borrowing and lending for more than $10 billion worth of properties. He has also been the lead attorney in connection with seven NAIOP (Commercial Real Estate Development Association) “Deal of the Year” Awards and serves as a member of the Rutgers University Center for Real Estate Advisory Board. He earned his LL.M in Taxation from New York University, his J.D. from George Washington University and his B.A. from Emory University.